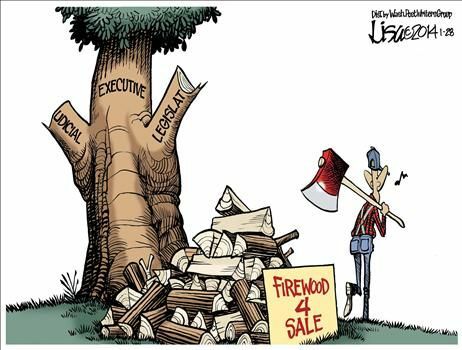 Obama just made the 18th executive branch’s unilateral change to Obamacare but who will challenge him on it? We’ve reached the stage where Obamacare is the punchline to a bad joke. The law has been a disaster, both for the economy and for the Democratic Party. Not that we should be surprised. You don’t get better healthcare with a poisonous recipe of higher taxes, added government spending, and more intervention. With any luck, Obamacare will be a textbook example of why we should never again give power to a bunch of political hacks and dreamy-eyed central planners. Because when they try to buy votes and create more dependency with Rube Goldberg schemes, the results are well..we see the cluster-you-know-what of Obamacareunfolding before our eyes. Not that anyone should be surprised. Remember what happened when politicians decided government would make housing more affordable? And remember what happened when politicians decided government should extend American tax law into other nations? Simply stated, grandiose plans for expanded government don’t end well. But this isn’t a normal public policy issue. The Obama Administration has just announced that it arbitrarily will be ignoring one of the requirements in the law, and this is the executive branch’s 18th unilateral change to Obamacare. We have to ask whether the American political system is being corrupted by a White House that doesn’t feel bound by the rule of law. To put it mildly, the Wall Street Journal is not impressed. …the law increasingly means whatever President Obama says it does on any given day. His latest lawless rewrite arrived on Monday as the White House decided to delay the law’s employer mandate for another year and in some cases maybe forever. …last summer the Treasury offered a year-long delay until 2015 despite having no statutory authorization. 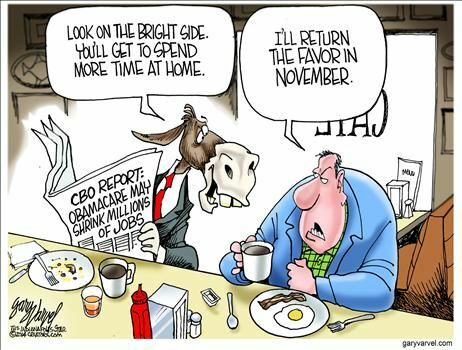 …Now the new delay arrives amid a furious debate about jobs after a damning Congressional Budget Office report last week, only this time with liberals celebrating ObamaCare’s supposed benefits to the job market. …Oh, and the Treasury also notes that, “As these limited transition rules take effect, we will consider whether it is necessary to further extend any of them beyond 2015.” So the law may be suspended indefinitely if the White House feels like it. …The text of the Affordable Care Act specifically says when the mandate must take effect—”after December 31, 2013″—and does not give the White House the authority to change the terms. Changing an unambiguous statutory mandate requires the approval of Congress, but then this President has often decided the law is whatever he says it is. I admit that part of me wants Obamacare delayed as much as possible. After all, even more jobs will be lost if the employer mandate is properly enforced, and that would add to an already anemic employment situation. But America isn’t Argentina, or some other Banana Republic, where the law is based on the arbitrary and capricious decisions of some political thug. If the President wants to change the law, he should propose legislation and send it to Congress. But it’s obvious what that isn’t happening. The White House understands that it would be forced to make concessions to get the changes it wants. So why not make a mockery of the rule of law instead? As nicely illustrated by the Lisa Benson cartoon. 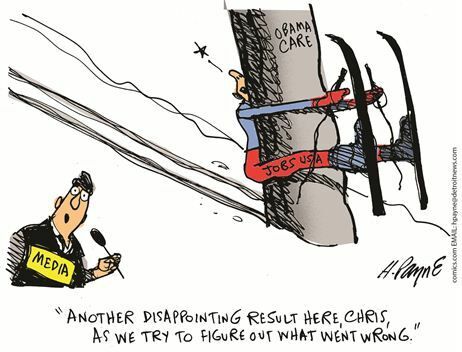 This is such a depressing topic that we need to close this post with some cartoons about the failure of Obamacare. We’ll start with Henry Payne, who uses an Olympics theme. 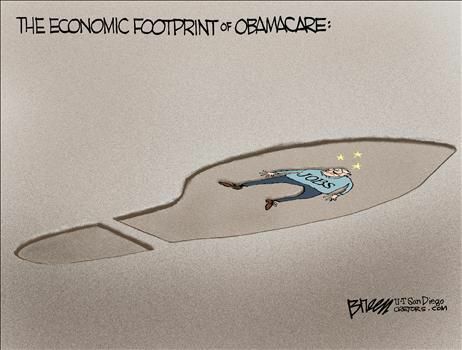 Gary Varvel has some fun mocking the left about being “liberated” from the drudgery of employment. Fans of James Bond my remember a certain scene from Goldfinger, and Glenn McCoy recreates that scene. Steven Breen looks at the law’s impact on jobs. And Robert Gorrell makes a nice point about labor supply incentives. 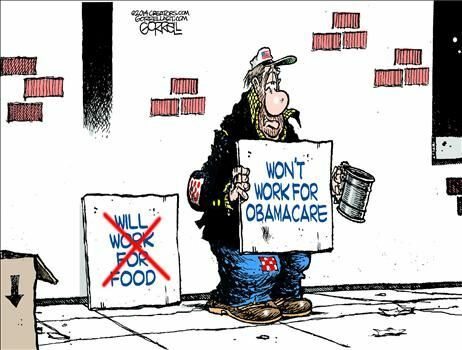 These are all amusing cartoons, but let’s not forget that Obama will get the last laugh if the final result is more dependency and a permanent expansion of the welfare state. At some point, we need to restore genuine market forces and get a lower-cost, more-efficient healthcare system. And that means not only repealing Obamacare, but also addressing all the other programs and policies which have caused the third-party payer crisis. P.S. Here’s some good news showing we’re not quite at the same level as Argentina. You may remember what I wrote back in 2012 about the IRS seeking to impose new restrictions on the tax preparation industry. This was a power grab with no legal justification. Indeed, it seems to have been an example of crony capitalism since H&R Block wanted to shut down low-cost competitors. That was the bad news. The good news is that the Institute for Justice sued to block the IRS/H&R block scheme. And the great news is that the D.C. Circuit Court of Appeals just drop-kicked theIRS thugs into a dumpster. Here’s part of the Court’s decision, as reported in the Washington Post. It might be that allowing the IRS to regulate tax-return preparers more stringently would be wise as a policy matter. But that is a decision for Congress and the President to make if they wish by enacting new legislation…. The IRS may not unilaterally expand its authority. Let’s keep our fingers crossed that the Courts do the same – by defending the rule of law – on future Obamacare decisions. 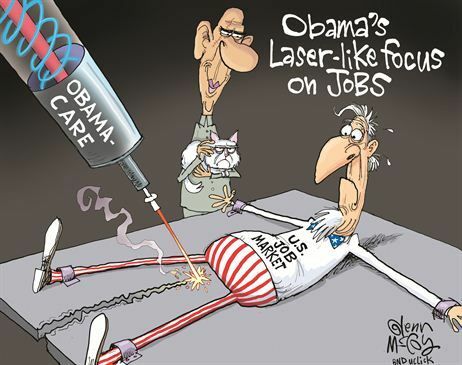 Obamacare Death Panels Kills Jobs more often than people!!! Obamacare’s sinking ship is sad to watch!!! I don’t feel sorry for Insurance Companies that endorsed Obamacare but I feel sorry for taxpayers who are about to bail them out!!! Obamacare is so dumb that you just have to laugh!!! We need to repeal Obamacare and get away from third-party payer system and get a genuine free market!!! !